An organisation needs to understand and manage all aspects of Change in the environment that it operates. 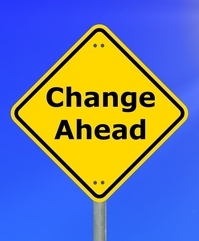 Small Changes (Incremental Change) sneak up on organisations “under the radar” whereas major initiatives (Transformational Change) must be planned carefully. There is a wide spectrum of Change between Incremental and Transformational, organisations need to recognise and understand the resultant dynamics. Based on our experience and qualifications, we can offer advice and active assistance to your organisation’s Change initiatives. Our service is relevant to all organisations from Small and Medium size businesses to Multinational corporations and to both the Private and Public sectors. Recognition and management of the Rumour machine. Definition and design of new Business and work structures.